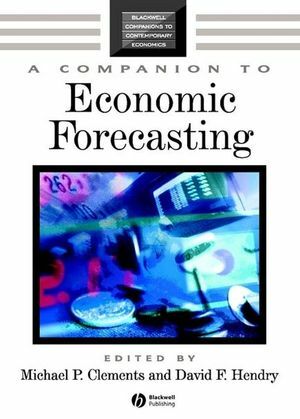 A Companion to Economic Forecasting provides an accessible and comprehensive account of recent developments in economic forecasting. Each of the chapters has been specially written by an expert in the field, bringing together in a single volume a range of contrasting approaches and views. Uniquely surveying forecasting in a single volume, the Companion provides a comprehensive account of the leading approaches and modeling strategies that are routinely employed. Michael P. Clements is a Reader in Economics at the University of Warwick. He is co-author with David Hendry of Forecasting Economic Time Series (1998) and Forecasting Non-stationary Economic Time Series (1999), and has published in academic journals on a variety of time-series econometrics topics. David F. Hendry, Professor of Economics at Oxford University, is a past President and Honorary Vice-President of the Royal Economic Society, Fellow of the British Academy and Econometric Society, and a Foreign Honorary Member of both the American Academy of Arts and Sciences and the American Economic Association. He has published more than twenty books, as well as over 150 articles and papers on time-series econometrics, econometric modeling, economic forecasting, the history of econometrics, Monte Carlo methods, econometric computing and empirical applications.